This sleeve is one of the most iconic designs to ever grace a record sleeve. As is often the case with this very flimsy sleeve [and its sixty plus years of age! ], a degree of edge scuffing is evident. There are also a couple very minor tears along the spine, a little edgewear & some minor damage to the bottom flip. The front has lost a small part of its laminate but all text remains clear, easy to read and free from writing. However, this is still way better than they are usually found. 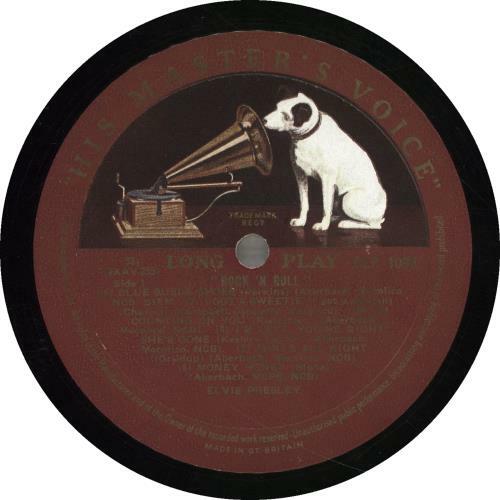 The heavyweight vinyl is nothing short of the highest quality pressing as you'd expect from His Master's Voice, made of the real stuff before the oil crisis compromised the quality of vinyl in later years. 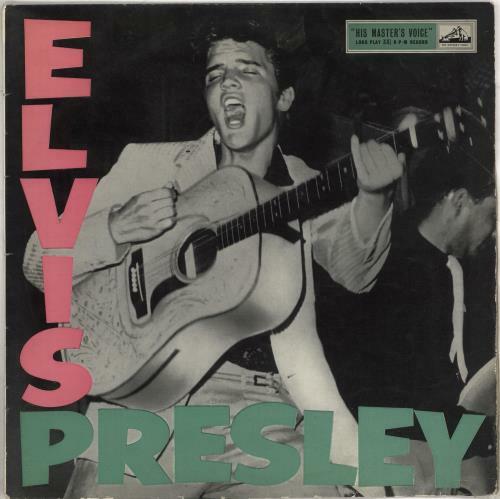 Coupled with the fact this is one of the most played records of its day, to find a serviceable example of this, Elvis' colossal debut, is a very rare occurence. 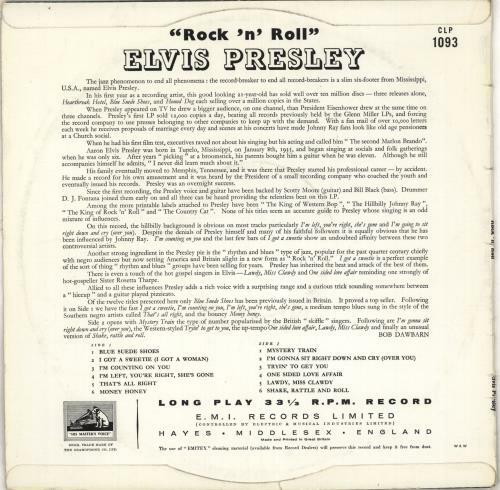 The vinyl remains in VG condition. On close inspection, there are signs of play & some hairlines, but nothing that greatly interferes with play and both sides retain a deep sheen. There are some spindle marks by the centre hole to indicate play [who didn't play their Elvis record?!] but nothing excessive & there are no blemishes to the label print. Playtesting reveals some minor background noise between tracks, otherwise plays through with any issues. A very acceptable, if not mint, copy of this legendary release at an advantageous price.